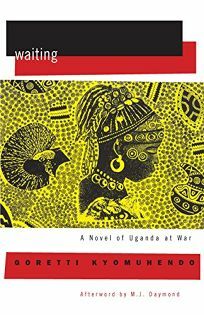 Ugandan author Kyomuhendo's unsettling and richly atmospheric U.S. debut illustrates the terrible plight of a family struggling to survive the last months of Idi Amin's brutal dictatorship in 1979. Terrorized by Amin's soldiers fleeing Tanzanian forces allied with anti-Amin Ugandans, 13-year old Alinda hides out with her family on a farm in the western town of Hoima. Her postal clerk father snatches news of the invading soldiers from the city, while eldest son Tendo serves as a semi-reliable lookout. Grandmother Kaaka, younger daughter Maya, and other neighbors sharing the hideout, along with Alinda's pregnant mother, who goes into labor just as the soldiers arrive. Although the baby miraculously survives, Alinda's mother is killed, and Alinda must cook and care for the smaller children. Difficulties arise as brother Tendo runs off to join the ""Liberators,"" and Alinda's female friend, Jungu, an outcast child of mixed Indian and black heritage, falls in love with a Tanzanian solider and aims to become the first female member of the army. The book, however, is less about plot than Kyomuhendo's strong portrayals of characters such as Uncle Kembo, who returns to recant his mercenary conversation to Islam, and the so-called Lendu woman, a Zairian foreigner considered a witch because of her knowledge of healing herbs. Kyomuhendo delineates the strife of her war-torn country with vivid, unflinching verve.